We have a washing up area where 4 people can all happily wash up at the same time with an abundant supply of hot water to get the dishes gleaming. 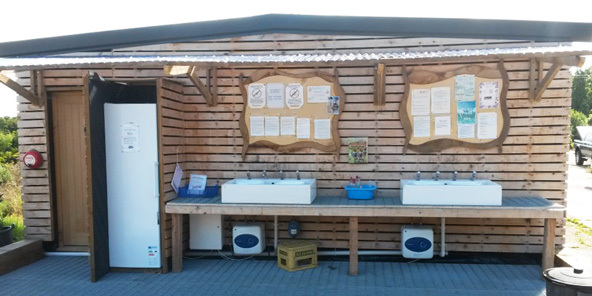 You’ll also find a large fridge and there is a chest freezer near reception where campers can freeze their own or borrow our ‘secret campsite’ marked ice blocks. No more warm drinks on a hot day. 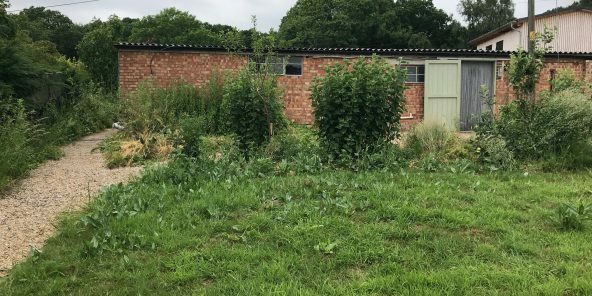 Our three showers and flushing toilets can be found in the old stable and woodshed near to the wildflower meadow, and a short walk from the camping meadow. We also have a family shower room. Most of the showers are powered by our solar roof and are free to use. There is plenty of space in each shower room for a couple of people to get changed without hugging. 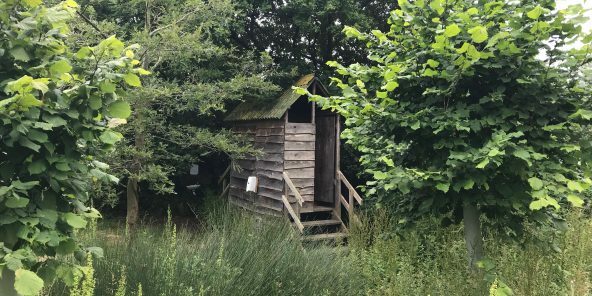 We have a couple of Thunderbox toilets in the camping meadow to provide a discreet and convenient option for midnight emergencies. These Thunderboxes compliment our traditional flushing toilets and will provide us with a useful fertiliser within a few years. It is a very clever system fine tuned by enthusiasts based in Devon, and increasingly seen at festivals and other outdoor, off grid events. 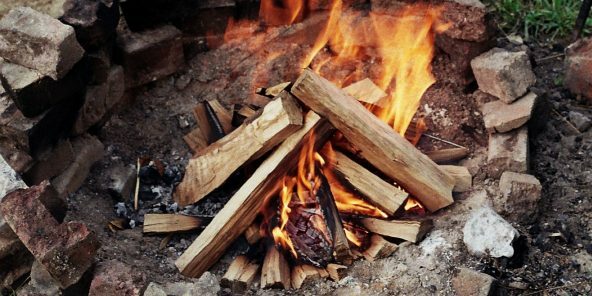 We source our campsite firewood locally from sustainably managed woodlands. Fallen branches and decaying trees help to maintain a healthy and vibrant ecosystem which enhance your interactions with nature. 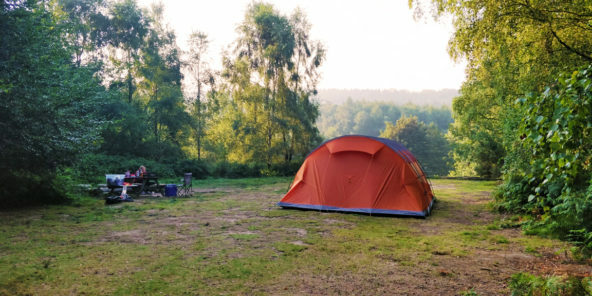 We ask all campers not to collect any firewood and only to use wood supplied by us, or that you have brought either from home or from another sustainable supplier. 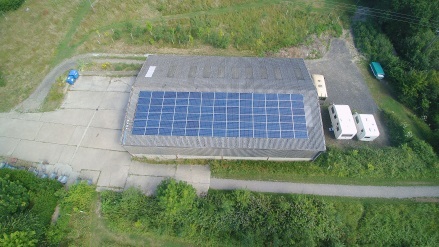 Our showers, fridge and freezer are powered by a large solar PV array on the barn roof, which was installed in August 2012 by local community energy scheme OVESCO. The energy that it generates during the day helps to heat the hot water for some of our showers and we are very happy to charge phones at reception for free. We even have a wide selection of power leads for this. We have plenty of recycling facilities on site where you can happily send your unwanted glass bottles, paper, cardboard, cans and cleaned metal, recyclable plastic bottles as well as any empty gas canisters. 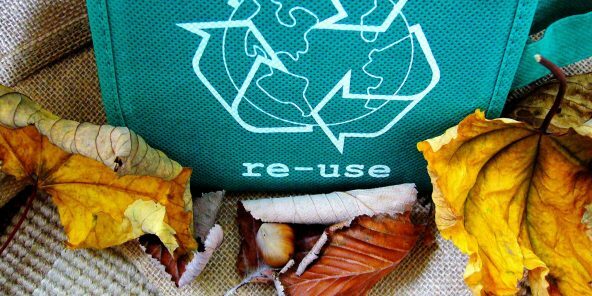 We’re not yet able to recycle food waste but its on our target list. 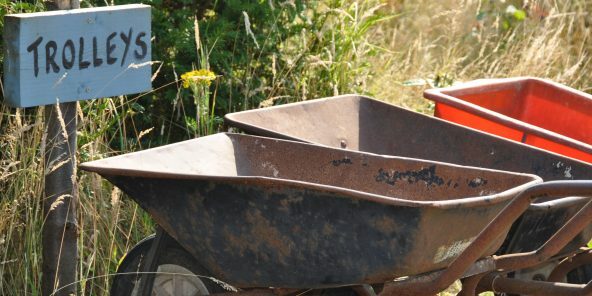 We use our various sized trolleys for you to transport your kit and luggage out into the camping meadow. One of us is often on hand to help you with this when you arrive and depart, so please just ask. We prefer this approach as it keeps the meadow free of cars, fumes and noise, and is far less disruptive on both the plants and animals living here full time. This makes for a far more exciting stay. It also keeps the campsite safer for children to roam.